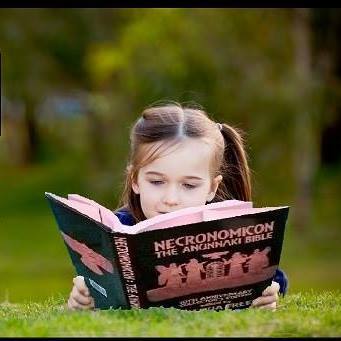 Commemorating the 10th Anniversary of Joshua Free‘s modern “Mardukite” inception, including release of the original ‘Mardukite’ Legendary Books and Tomes of Magick — “Arcanum“ and the “Necronomicon Anunnaki Bible“ — and the 20th Anniversary of the “Sorcerer’s Handbook“ by Joshua Free (while writing as “Merlyn Stone” in the 1990’s)… Joshua Free makes his long-anticipated appearance on Michael Decon’s program, “End of Days”, an online radio show for an intimate evening of live, uncut and candid discussion traversing the prolific literary output and knowledge from Joshua Free spanning secrets of the ages and the incommunicable arcanum hidden behind the veils of life, the universe and everything! For the first time ever, Joshua Free’s print-booklet NexGen Systemology series composing the AWAKENING SYSTEMOLOGY-101 “Right Way to Life for the Next Generation” anthology is now available in eBook electronic format! 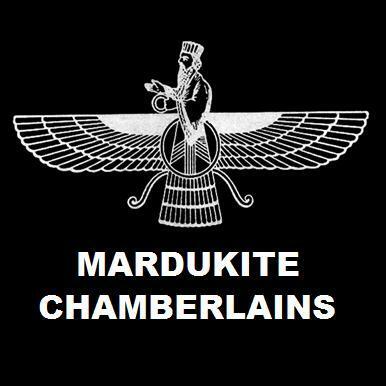 In early 2011, the Mardukite Chamberlains (Mardukite Research Organization) formed a ‘division’ established and dedicated to a ‘new avenue’ of ‘spiritual’ and ‘scientific’ pursuits toward understanding the ‘human condition’ as experienced by modern man – and further, how it affects the evolution of the next generation of Human… and the future of the planet! ?? ?–Who are you?–Where do you come from?–Where are you going?–What is reality?–Why do you think and feel as you do?–Does this experience come from Self?–Or, does it stem from artificial programming?–What does all of this even mean and how can Self-Actualization be achieved in this lifetime??? paradigm – that provides answers so startlingly clear that they point toward a ‘new evolution’ in “consciousness,” and the Reality Engineering of the next step of human existence… or, trans-human existence! WHAT IS NEXGEN SYSTEMOLOGY ??? Prolific writer and founder of the Mardukite Research Organization, Joshua Free, illustrates the existence of human life as the “Self” locked into a conditioned experience of the matrix–structured–reality of everyday life using a new revolutionary NexGen paradigm developing for the next evolution of humanity. We chose the term “Systemology” to represent the foundation of this NexGen movement in part due to “systems theory” and “gestalt” – the holistic study of SYSTEMS. All fragmented academic fields and methodologies of science and spirituality that operate in exclusivity to wholeness have failed in resolving who and what ‘we’ are – as “individuals,” as “human beings” and as “spiritual lifeforms” – All-as-One. Human understanding, until fairly recently, fails to truly grasp even one of these things, then alone possess an All-as-One realization (which is actually necessary to ‘truly’ understand the ‘nature’ of the parts) – such as those visionaries, mystics and spiritual masters from all places and times have alluded to us. The global consciousness approaches a portal of change and transformation into a ‘New Dawn’ – a “New Age” – and the ‘NexGen’ thinkers are rising up from necessity, meeting the challenges and demands of the coming age… and for this they require experiential tools and “hidden knowledge” that has not been visibly apparent in recent past – has not been realized by past generations. – a murmur of hope to some; a nightmare to others. All of these materials are also available in the all-in-one print volume anthology: AWAKENING: SYSTEMOLOGY-101 by Joshua Free. *NEW* The ‘Systemology For Life’ NexGen Knowledge Booklet Series debut in print and eBook format! On the path of the ‘Right Way’ – the course one takes toward their own personal transhumanist Ascension on a spiritual scale – a significant part of your evolution comes from the ability to literally “overcome behaviors,” meaning overriding the very programming (pattern) of which we are given – either genetically or learned socially. It is this progression of interaction with external energies – our responses and experiences with them – that constitute the lessons and lifecycles that we repeatedly find ourselves in. Until we are able to fully appreciate a specific “lesson” in our path, cyclic behaviors and results ensue, and in hindsight, we find ourselves trapped in circles of behavior wherein we follow a program of doing the opposite of what we intend to do; pushing away the very energies and forces that we seek to manifest in our life.